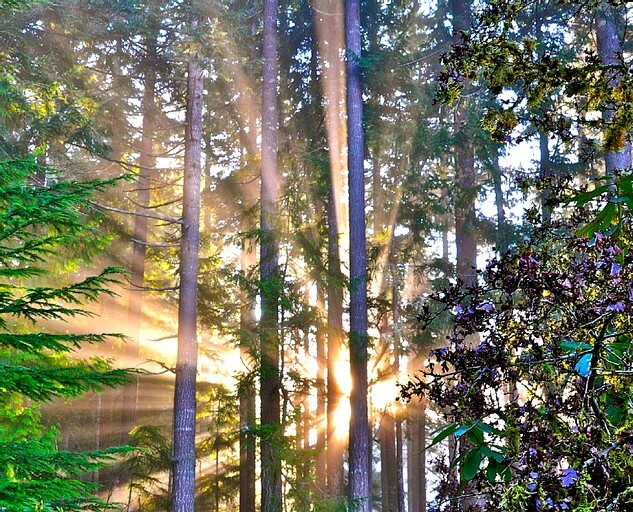 Located along the Olympic Peninsula in Washington State. 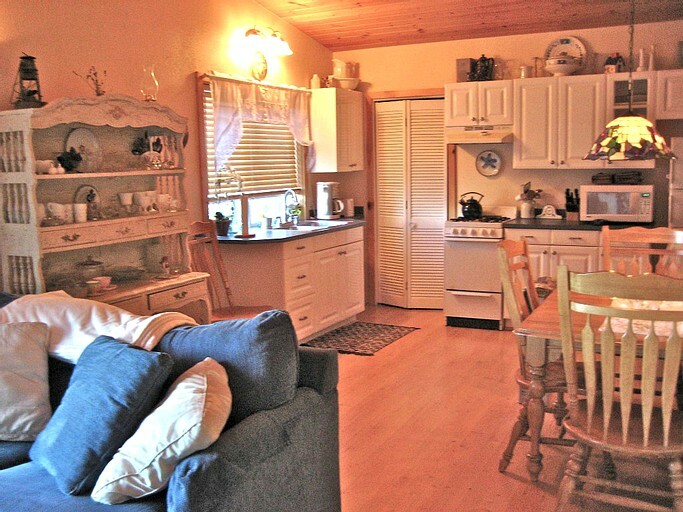 This cottage has two beds, one bathroom and can sleep up to 5-6 guests. Access to the accommodation is lead by a staircase entrance alongside the cottage. The living room comes complete with a full size sofa sleeper, gas fireplace, and a flat-screen cable TV with a DVD, CD & iPod player as well as several DVDs, CDs, books, and games. 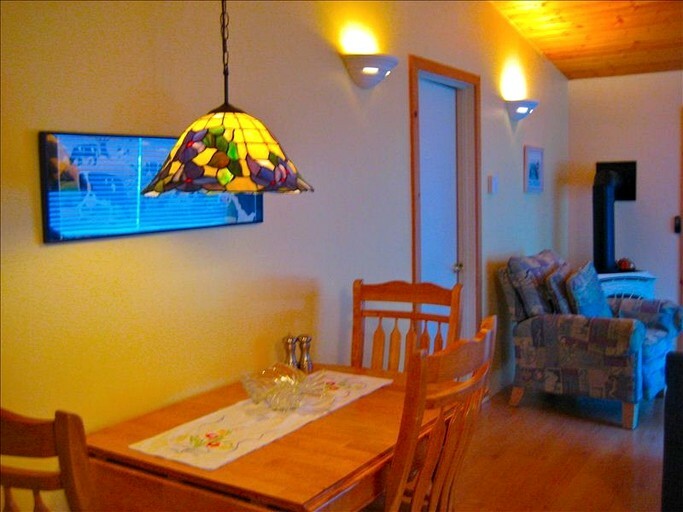 This cottage also comes with a washer and dryer for guests to use. 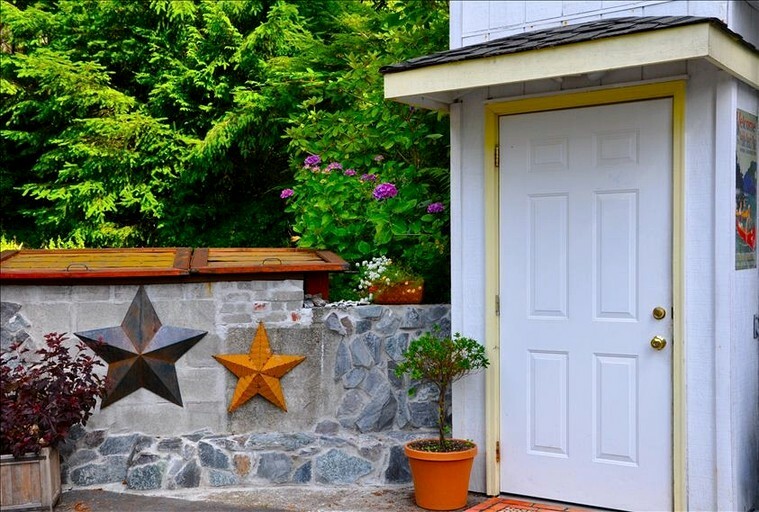 Pebble Beach Place is a designer-inspired original bungalow carriage house situated on the hill above the main residence of a gorgeous classic South Shore 'Hood Canal Home'. The house sits approx. 75 feet from the water across the road. 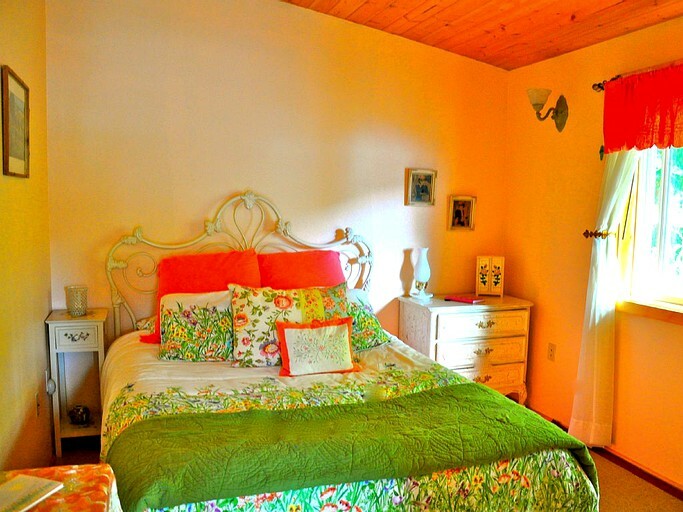 With its own beautiful view of the canal, and surrounded by a cedar forest, this carriage house is a Bed and Breakfast style stay. 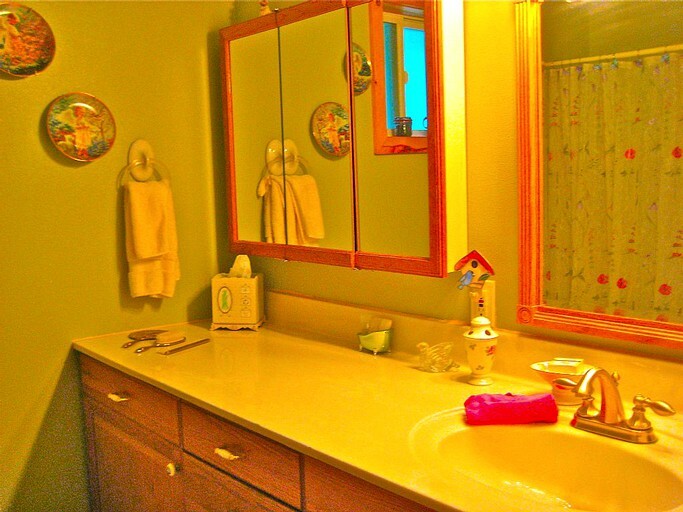 With a part-time caretaker on sight, you will enjoy all the privacy of a vacation home, (as this property is completely separate from the main house), yet you will have access to concierge services and special requests if so desired. 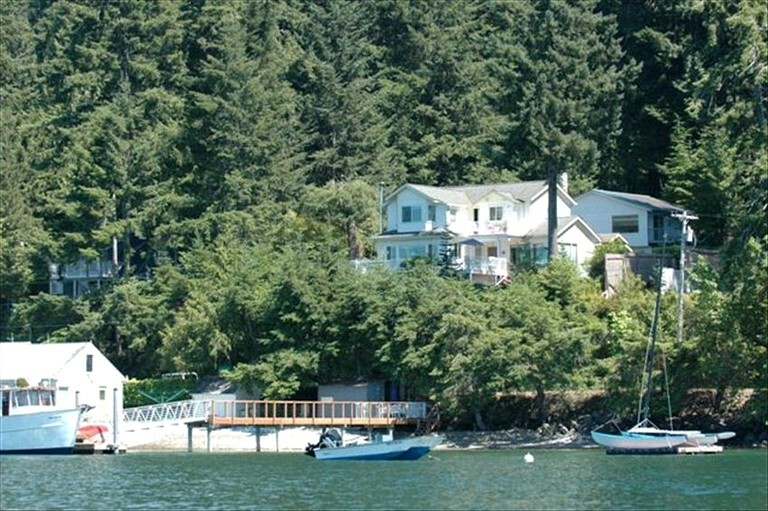 The house is nestled alongside an old cedar forest with it’s stunning view of Hood Canal, a small private oyster beach, beach deck and beautiful 115ft. dock in which to relax and enjoy the west sunsets from! 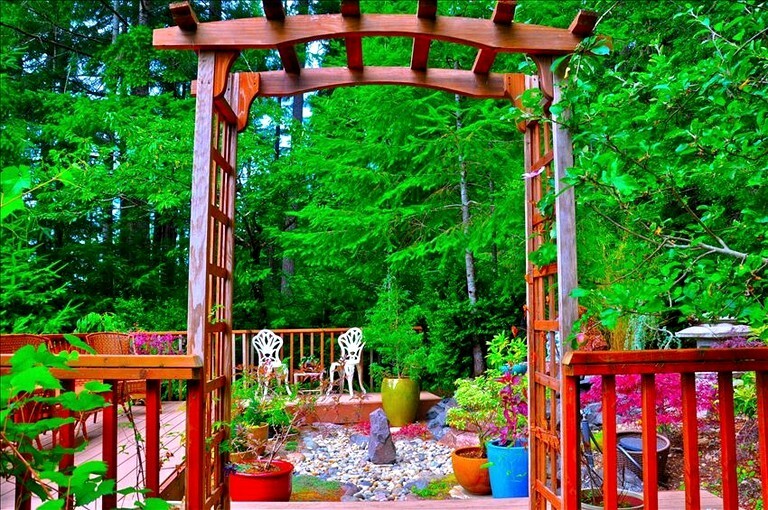 Take long walks in the woods, go antiquing, play golf or hike the incredible trails just 2 miles down the road. 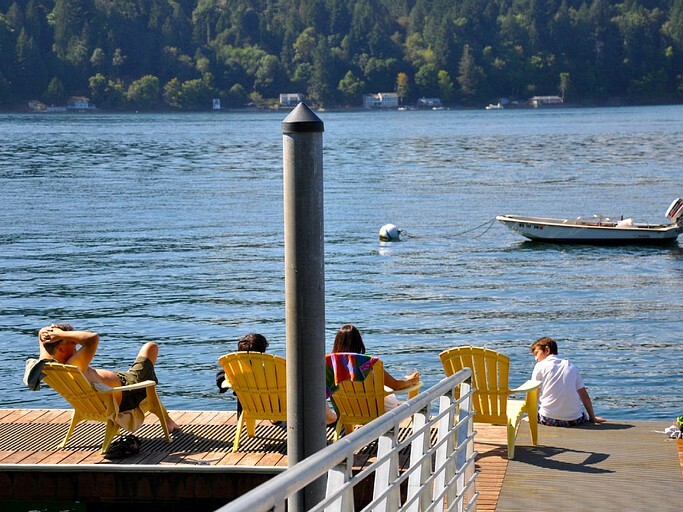 Visit some of the Northwest's finest wineries, fish from the dock or go boating. You can dig clams, pick oysters, kayak, fly fish, geo-cache or just curl up and read a good book. A beauttful welcome basket greets your arrival. 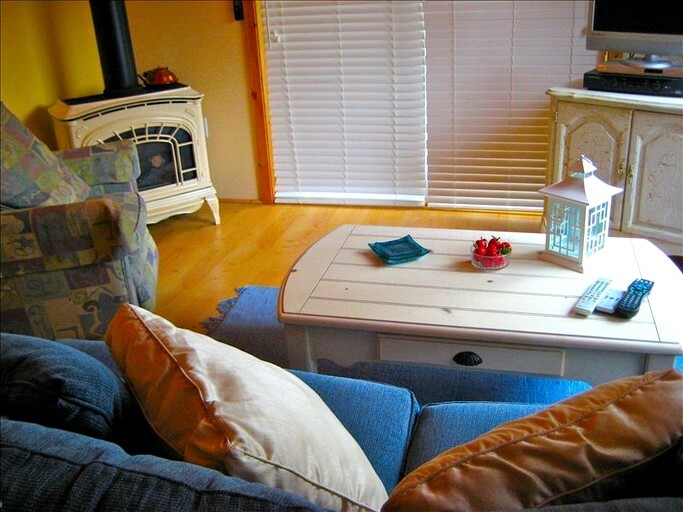 Now enjoy the gas fireplace while you look over your treasures from the beach, or map out your next hike. 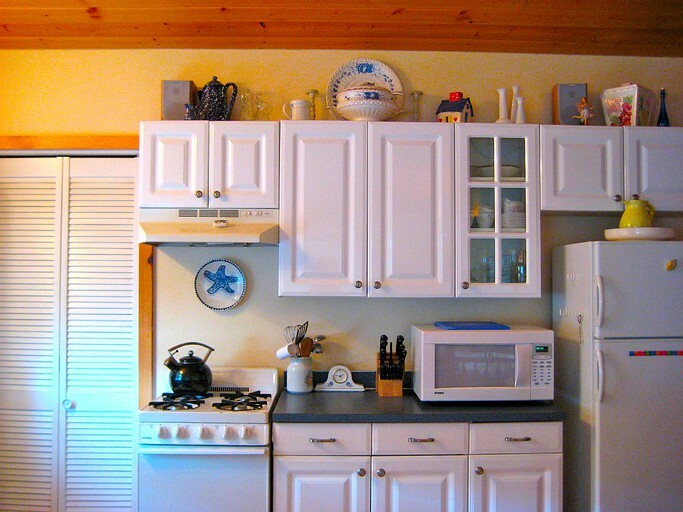 “Your place” comes fully furnished with a beautiful kitchen, fully stocked pantry including gourmet coffees and teas and everything is complementary! You can cook gourmet meals or dine out in one of the 5 star restaurants just 3 miles from pebble beach. 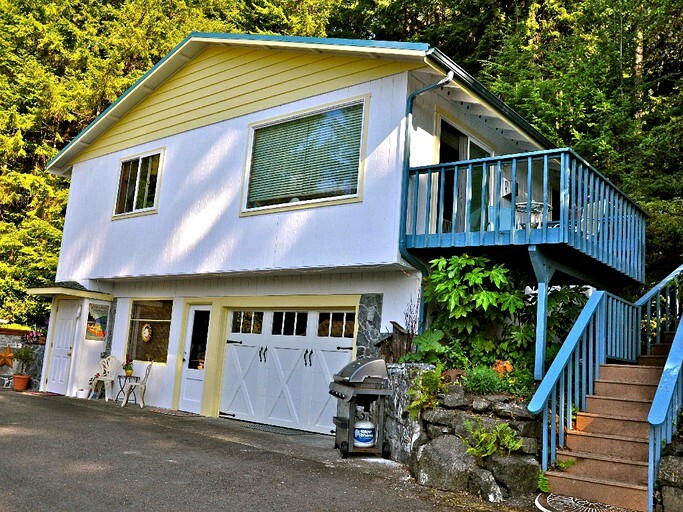 This carriage house is fully furnished with two bedrooms, each with a comfy queen bed, private deck over-looking Hood Canal and the Olympic Mountains. A beautiful living room with full sofa sleeper, gas fireplace, luxurious spa robes, private meditation garden and deck, flat Screen Cable TV, DVD, CD & IPOD PLAYER with lot's of DVD's, CD's, books, games and many more extra's. Fire circle for 10, a shared large 30'x 40' deck where the hot tub with a great view of the water. When we have guests we do not use the hot tub. We like our guests to know it's just their's when they are here. There is also an outdoor dining table, chaise lounges and seating for 6 at the smaller out door fire place during the high season. 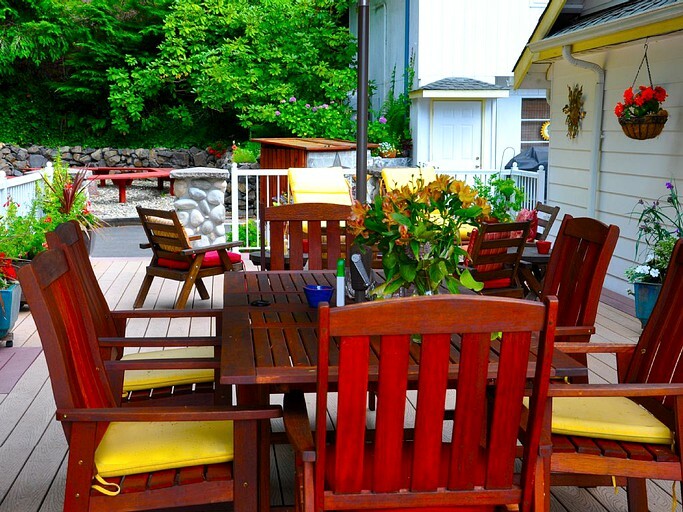 Our shared dock has table and chairs for your viewing pleasure and several seating areas around the property are also provided. Please note that this is a Carriage Style House (2nd floor style) with entrance stairs. If you require lodging without stairs we are sorry in advance that we cannot accommodate you. Also outdoor furniture items pictured (except for garden and dock) are removed during the low season. We will try to accommodate all special requests for outdoor arrangements!! The house sits approximately 75ft. 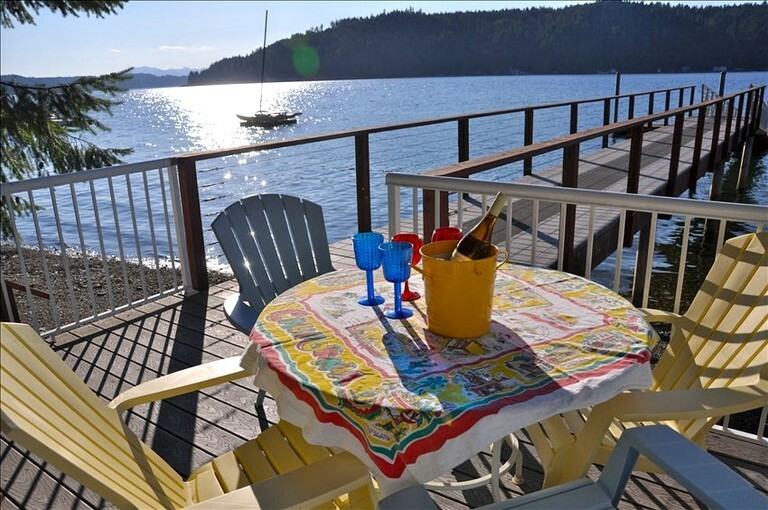 from the water-side.It is not right on the water but Pebble Beach Place offers the best of both worlds, with privacy from Highway 106, yet the use of our new beach deck, dock and private oyster beach for your enjoyment. Free phone (US only) and free wireless internet. Our guests can't believe what a value Pebble Beach Place is, voted 'Best Night's Sleep' by all our guests, you'll never want to leave! We love it when our guests leave with a huge smile and a relaxed state of mind. We have recently added a couple of new amenities; foot reflexology and sound healing. We have a foot reflexologist who can come and do an hour long treatment for $50.00 right in the house. You can also nclude sound healing therapy for an extra $15.00. A full sound healing treatments are available for $35.00. Please let us know at least 3 days in advance. Please feel free to ask us at check in (or schedule in advance) and if we have an opening, we will be happy to accommodate you. Whether you’re looking for time with your love ones, or time for yourself, come and make our place “your place”. Stay for a night, a weekend or as long as you like. With so much majestic beauty surrounding you, you’ll be sure to return home a new person. 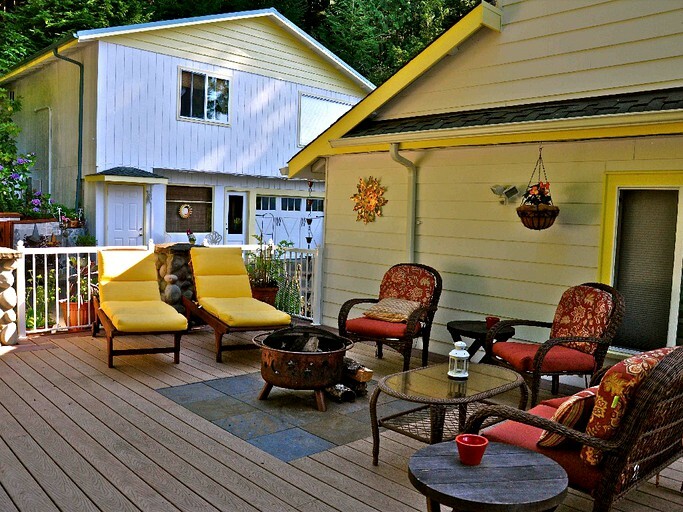 Don’t wait, come and rejuvenate and experience the magic of what world travelers have coined the “Venice of the Northwest”, Union, WA. Isn’t it time you made some new memories? 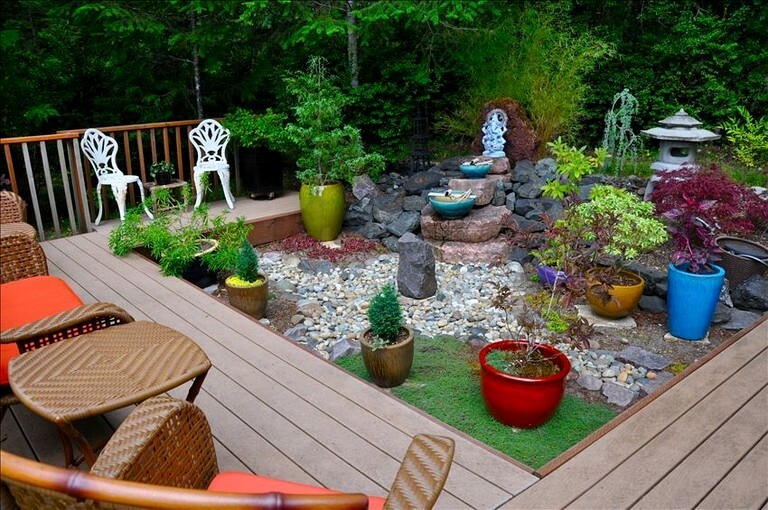 This property includes a private deck with tables and chairs where guests can relax. 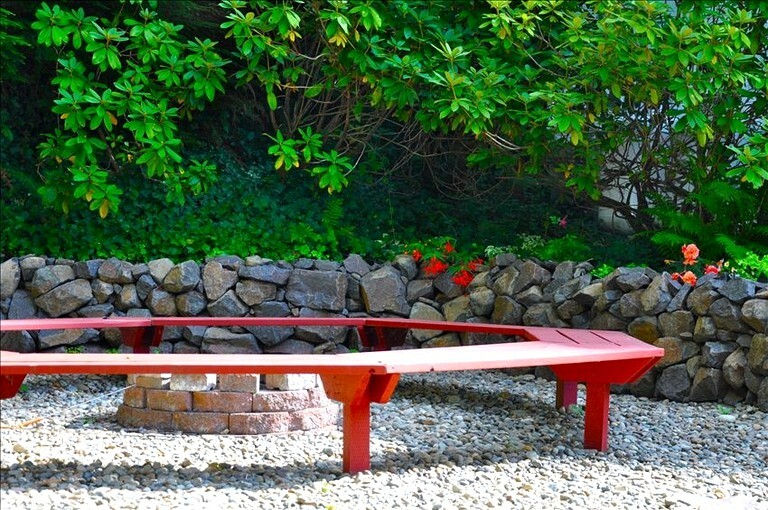 Guests can sit around a fire circle for ten and enjoy s'mores and a warm fire. 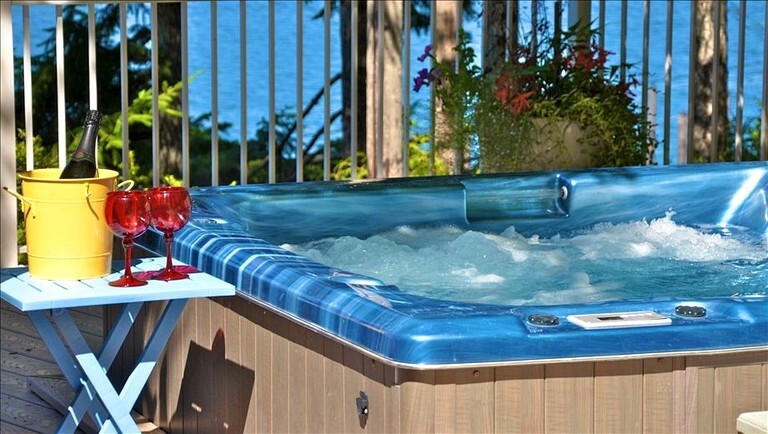 Connected to the deck is a hot tub overlooking a picturesque view of Hood Canal. 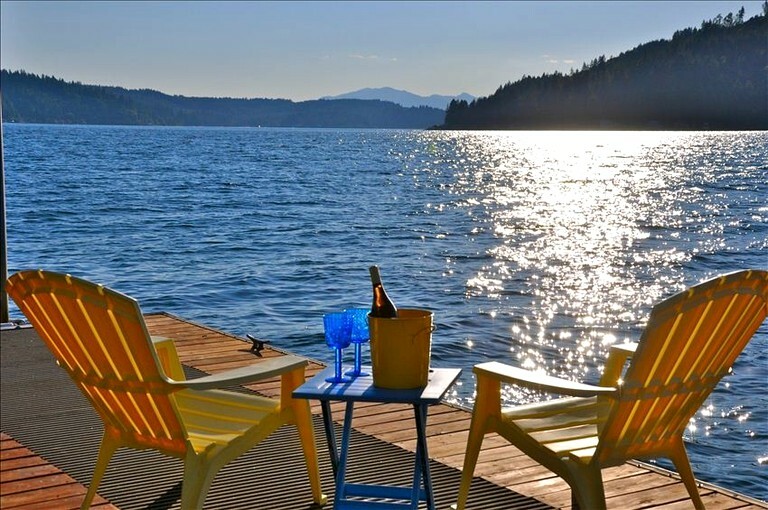 In addition, there is a shared 115 foot dock with tables and chairs, where guests can either fish or go boating. 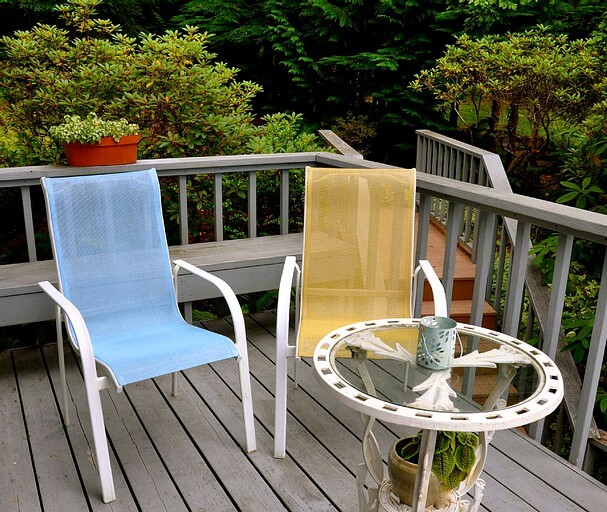 An outdoor dining table and a gas fireplace are available as well. This host keeps a variety of teas, fresh coffee beans, and a selection of other coffees for guests to enjoy. Set alongside Hood Canal and the Olympic Mountains, guests have a fantastic selection of outdoor recreational activities to participate in. 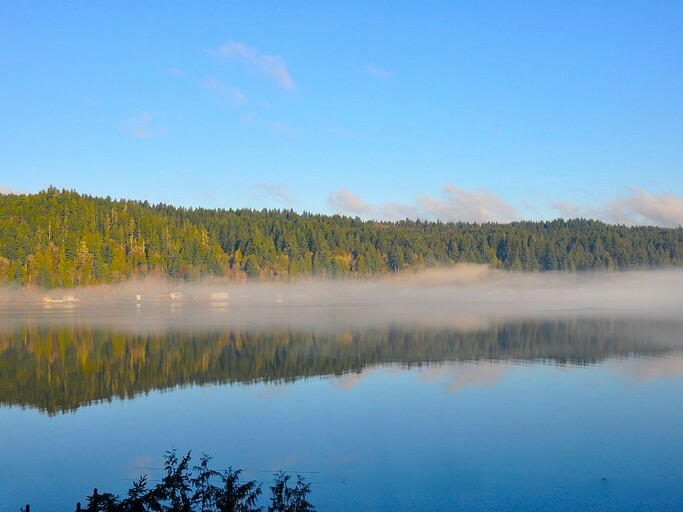 Guests can enjoy everything from SCUBA and skydiving to biking along trails and taking a relaxing, awe-inspiring hike at Hood Canal. Those looking for excellent dining can enjoy restaurants that have a focus on local, fresh fare and beautiful regional wines. Just an hour away by drive, Tacoma is a city full of great tourist finds. The Bridge of Glass is a pedestrian partially-covered footbridge spanning 500 feet and provides a great. Mount Ranier National Park is also nearby and provides excellent opportunities for scenic drives, hiking, and mountain climbing. For an artsy and urban Washington experience, visit the Tacoma Art Museum and view local artists' work. For more than two extra guests, there is a fee of $25 per guest. No smoking is allowed. Please check with owner for details about the cleaning fee. Please note the minimum night stay is subject to change during the Summer months.